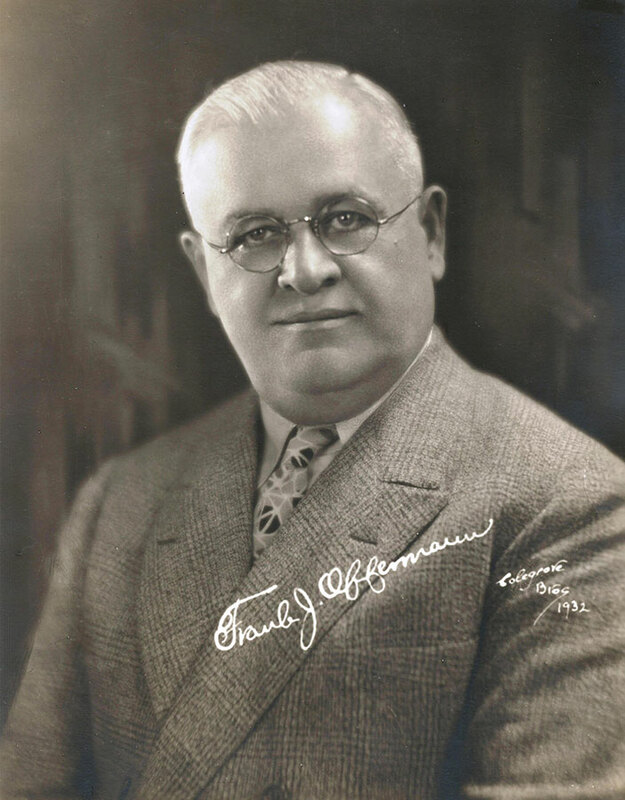 Anyone with a passing interest of the history of baseball in Buffalo knows the name Offermann, as in Frank J. Offermann. The owner and president of the Buffalo Bison Baseball team from 1928-1935, Offermann was a marketing expert for the baseball team, increasing the popularity of the franchise in Buffalo with his promotional genius and astute baseball sense. Offermann utilized technology to increase the team’s popularity. He brought night baseball to the Queen City in 1930, five years before the Cincinnati Reds of the Major Leagues did so. Night games allowed fans with day jobs to attend games, keeping the team afloat during the depression era. Under Offermann’s leadership, the Bisons were also one of the first minor league teams to broadcast games on the radio, further connecting the team to its fans. Offermann was a master promoter and was one of first owners in baseball to utilize game day giveaways as a way of attracting children and new fans to the park. So beloved was Offermann that when he passed away in 1935 a vote by the Board of Governors unanimously agreed to re-name the stadium from “Bison Stadium” to “Offermann Stadium,” the ultimate show of respect given to an owner. He was an inaugural inductee of the Buffalo Baseball Hall of Fame in 1985.